Ever have interest in something, like hobby, home project, new car? So we find something that we want to know more about, so we think and we give it more time and attention. Like a new car, we tell ourselves, I want a new car, so the idea is planted, or the seed is planted in our mind. We then water the seed which then starts to grow in to a small plant, then larger. We want a car, we think of what kind of car, then we go do some research or shopping until we eventually get it. We may do some very in depth research, like internet, carfax, consumer reports. It may be fast or slow, but we will think and “water” our idea til it grows and manifests itself. Just like every other human experience or thought. It has once started as a seed, got watered, and grew as large as we wanted it to be. This is a law of the Universe! So what about our life, do we want a small life or a large one? what are we willing to think about, how much time and water are we willing to give it? What we give grows. The law of attraction what we think about grows. So lets think positive kind thoughts all day today, and let the universe fill us with love! For anyone new reading this: What is the Hero’s Journey? I can try to explain with an example of some kind like the first Star Wars movie where you have Luke Skywalker who is an average guy farming on a remote quiet planet. Through the movie he gets challenged to take on the Dark Side, he has helpers like Han Solo, and the robots C-3P0 and R2D2, he also has mentors like Obi One and Yoda. Luke becomes a “Hero” in the movie. The Hero’s Journey… from the dictionary : a person, typically a man, who is admired or idealized for courage, outstanding achievements, or noble qualities. 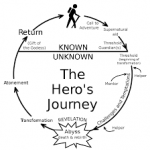 The “Hero’s Journey” as in the picture here shows the known and unknown and goes around in a clockwise direction. My known is my everyday life, get up, goto work, come home, do my home stuff like with family and other chores, goto bed, and do it again, a cycle driven by the clock. Familiar! Now the “Unfamiliar” where I don’t know what is going to happen, and I may be reluctant or hesitant to do something i’m not comfortable with, but if i have some courage, some helpers and mentors this can be a little easier. At the bottom you see the Abyss! The Abyss is where everything is against you and you feel like giving up, but if you make it past that, you get “transformed” and come out with a new outcome. We can all be “Hero’s” in our own life. Example (put yourself here): You want more time and money in your life but you don’t know how. You are comfortable knowing you do the same thing every day until the end. But what if????? you take on a challenge to change the outcome of your life, like say you want to stay at home and raise your own kids. To do this you will have to change a few things, like maybe make more money in less time to free you time so the free time is at home with the family. The accomplishment of finding something, doing it, and succeeding where your new life is a prosperous bank account with all the free time to spend with family. What does that feel like? Would you be ok with a “better” outcome, that dream? That could be your hero’s journey. Peace, and I wish every “Hero” the best! 7	Week 17 – What happened??? So, what did happen this week? It has seemed to go by so quick I could not tell you. What did you do? I know for sure I was thinking, and sometimes thinking very hard, thinking on my desire and what I am going to do about it. The word of the week is “Decisiveness” and it was time to make a decision. So I was thinking of my desire and making a decision to do something about it. One day pasted, then the second day, and on the third day I got a little accomplished towards making a decision about my desire. I desire to accomplish my definite major purpose starting now, but was a little slow. However I was always thinking of it, and not doing it. So let’s put a little “feeling” into it, I started to imagine what it would feel like to accomplish what I desire, then again nothing happened physically but I did think about it. I kept the door shut on any negativity which tried to get in. I understand it’s time to push and dig in starting now. Easier said than done. I have been letting the thought dwell upon my desire, concentrating on courage, concentrating on abundance, and concentrating on health. Strength and Power is determined by mental attitude, think of success and hold it with definite purpose, and we will attract the things we all desire. 5	Week 16 – Kindness. Kindness, for this week I have been identifying and looking for kindness in myself and in others. It is as simple as holding a door open for someone, or allowing someone in traffic to move over or come out of a driveway in heavy traffic. It’s been nice the week of Kindness. Peace, and have a kind rest of the day. Thank you for reading. 8	Week 15 – If you could have everything in 8 weeks from now, what would you do today? So imagine, if you were desperate today, real desperate, like you were going to die, but the cure was available in 8 weeks from now, and 100% sure it was going to work and be great for you at the end of 8 weeks. Would you fight for 8 weeks or would you just wither away in pitty and not make it the short 8 weeks? A lot of events in our life that are “bad” or “unwanted” can be fixed with our own actions, and starts with a plan of thought. Our thought opens up channels of every solution there is, and perfect solutions too. Most of the solutions to our big problems we tell ourselves “Oh, that is impossible, or it’s too hard and that will never happen.” We just thought ourself out of doing what we know is a perfect solution because we told our self we could not do it. To allow in the right thoughts to make the right actions we must eliminate the wrong thoughts. We must empty the trash to make room for the new. We must get rid of old clothes to make room for new clothes. You get what i’m saying right? So we know we have challenges, and we know there are solutions, but we talk our selves out of it. Why? Think of a plant, it grows, has green leaves and roots in the dirt. If we cut the roots from the bottom, or stop watering the plant, the plant will eventually die. We can do this with the thoughts that stop us from doing what we know what we should do so we can achieve what we wish. Back to the 8 weeks. 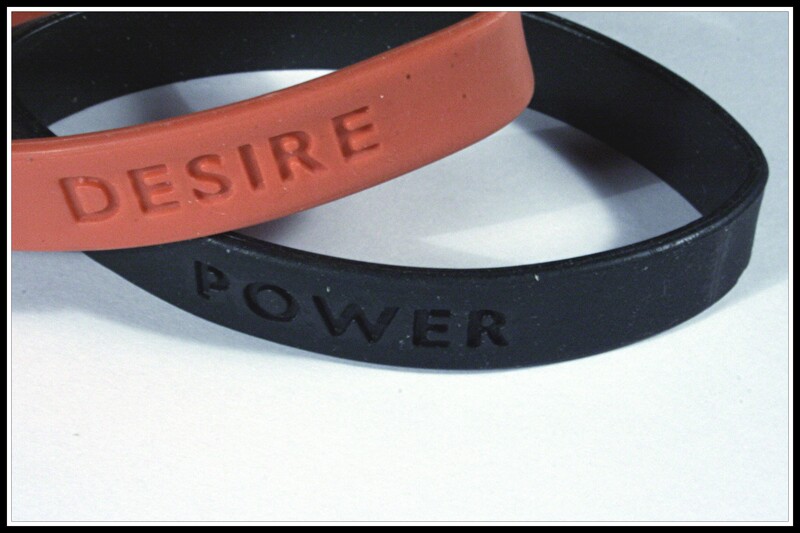 If we desire something that we don’t have, and we think we can’t get it, well, we’re right, we can’t have it. What if we forget all that, and for 8 weeks we work, think, feel, push, believe, and do what is required, and have persistent continuous action, do everything like our life depended on it, knowing we will have what we want in the 8 weeks, what would we do starting today? yes that is right, I am Everywhere and I do know Everything, but I am still working on total Power. I know if we are in Harmony with the Universal all is true. I have heard many examples from the Master Keys class of people having experiences, experiences that most people would say “you are crazy” but everyone knows things happen for a reason, that reason is we called for that experience. Looking through a scientific eye, the universe is made up of stuff, stuff like matter, or substance which is mainly atoms and molecules. Each molecule has protons and electrons, positive and negative, and have attractiveness to each other. The electrons are everywhere and in everything. So thinking, if we are all made of the same stuff, we must be alike, and if we’re alike we follow the same laws, Law of Growth, and what we think about grows. So I have started to concentrate on if i’m in everything, everywhere, then I should have more Power and therefore open up channels of real life situations and create what I demand. I believe because I know this, and I practice this, I have the power over the people who do now know and practice. The results are in, and the truth has spoken. I have seen this so many times, think of something and BAM it happens. I live in the united states and my wife, the Marvelous Marie, her family is in the Philippines, where we are at for the 2 weeks of christmas and new years. I have been out of touch with my NWM team, and my daily life, kind of like a mental retreat, i have gotten to read a good book “outwitting the devil” while on the airplane, plenty of time to just sit and think. With the time difference I lay awake in bed just thinking. I have discovered I can think of my future self, back home I could not always do this because of the rat race. So I think, as i go through my cards, realizing gratitude, NARC, and the Omni words of being present everywhere with unlimited power and knowing everything. The week 13 video, enjoy the holidays as my future self, what it is like FEELS GREAT! I wish everyone health, happiness, strength, prosperity, comforts and luxuries. 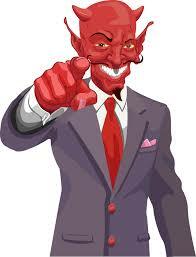 This post is interesting, I have had 17 hours on an airplane and I was fortune enough to participate in an “Interview with the Devil.” The Devil addressed as “Your Majesty” he does not have a pointed tongue or pitchfork tail, but controls 98% of the people on earth. Think of every positive there is a negative, North Pole and South Pole, Protons + and Electrons -, Sunshine and Darkness. His Majesty is the “-” or “Negative” and is always there. His answers are 100% truthful, however he did try to avoid some of the questions. His Majesty calls the 98% as “Drifters.” Drifters are the humans that don’t think for themselves, and we see Drifters everywhere, in ALL PLACES. so i’m basically well prepared for this 17 hours, or I thought… But remember, i’m sitting with the Devil, and 300 “Drifters” on the airplane. I’m not going to be able to explain it all, but i can tell you after 10 hours on the plane, the guy behind me was kicking my seat and instead of getting upset and saying something, i just used “law of substitution” and went on, then 11 hours and the guy pushed my reclined seat back to it’s upright, again i grabbed my “one liner DMP” thanks to Mark and repeated 100 times, so i’m good! 12 hours, it feels like the guys knee is in my back and I have my chair in upright, I was being tested, and His Majesty was asking me to drift. I refused to drift. So, what is a “Drifter?” His Majesty explains a Drifter as someone who does not think for themselves (yes I defined twice, some of the questions were asked twice just to make sure). Remember the Compass? Interesting right? I was thinking for myself but seemed to want to drift while I was seated and getting reminded of the 13th hour on this plane. I remembered 98% of people are drifters, and after listening I was one too, but I am exiting that part of my life, I am no longer a drifter. 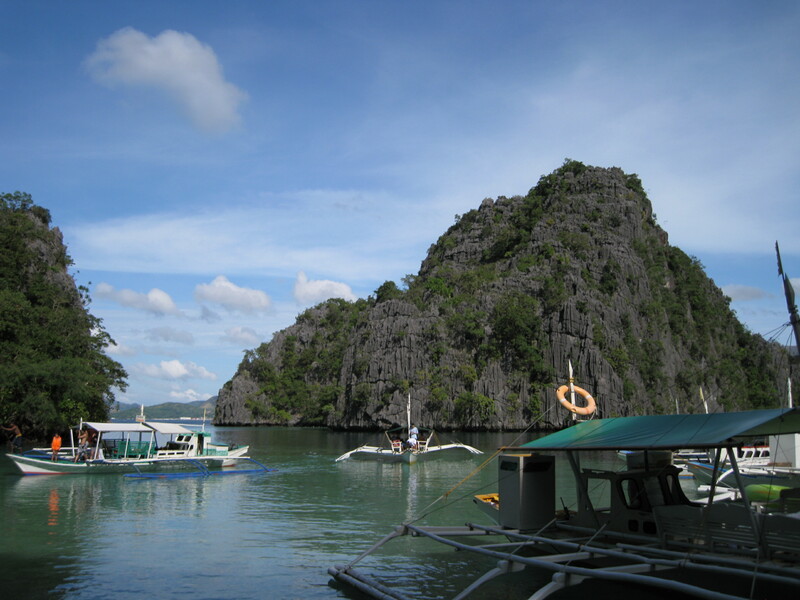 So on my 2 week vacation in the Philippines, I have had 17 hours on the plane to think, i have time to think here. I admit it’s not as easy to have my routine of all my daily exercises, but I am thinking for myself, and I will not give in and be a “Drifter” as I am Whole, Perfect, Strong, Powerful, Loving, Harmonious, and Happy! If you have a questions for His Majesty please leave a question or comment and i’ll try to give you what I can. 6	Week 11 – My Cause –> Effects me! Cause and Effect, we all know what that means. A Cause results in an Effect. Start a fire, burn the house down. Learn a skill, use the skill and excel. What kind of effects do we want for 2015? More money? More time? More love? More health? What causes more money, more time, more love, or more health? If we want more health, let’s do healthy things. If we cause ourself to eat better and exercise, then the effect will be weight loss, better heart and lungs. If we want more love, buy some flowers for your spouse, or tell them something nice from your heart. If we work less we will have more time. if we want more money, what should we do? For me, there has been a chain of events, or cause and effects that have led me to today. We have studied, practiced, and taken action, now it is time to make it happen. What about you? what would you like in 2015? what are you going to do about it today? Start an action today, or cause, and you will see rewards, or effects, so lets get to it! Imagine and see what it is for you, what is 2015 going mean for you? 2015 is the best year yet! “The End” reminds me of a movie, usually a movie with a good ending. How about our ending? what is our ending, and how will it end? I learned something today, as the observer at the end, we look back to our journey, and we had challenges. We tell our story and we say how we “accomplished our goals, and we had obstacles, and those obstacles we found a way to get through them” and how did we get through them? Well, what is your story? How did we get through to the end of the story? Thinking what the “end” is, not life’s end but our journey has an end that and when we will achieve “health, wealth, and love.” What has the accomplished person done, what are the achievements that the other person did to get health, wealth, and love? Was it difficult, or easy? I’m willing to do what it takes to have what I want, are you? I’m sure physically it’s easy, but mentally? Let’s do this!